Home / Articles tagged with "concentration"
Find out how eating a cup and a half of this superfood could benefit children’s brains. Improve your focus with these three tips. Can cell phones affect fertility? New research finds that a decline in fertility can be linked to the exposure men receive from their cell phones. Many women find memory decline as a frustrating after-effect of chemotherapy. 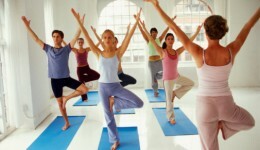 Memory and concentration have been shown to improve with 20 minutes of yoga.